Many businesses have switched from traditional office design solutions to ‘Activity Based Workplaces’ (ABW). In recent years, this idea has morphed into ‘Neighbourhood Based Choice Environments’ (NCEs), touted to boost productivity and creativity. What do these trends mean for you and your business? The days of segregated cubicles, tired shared kitchens and endless, depressing rows of desks are gone. 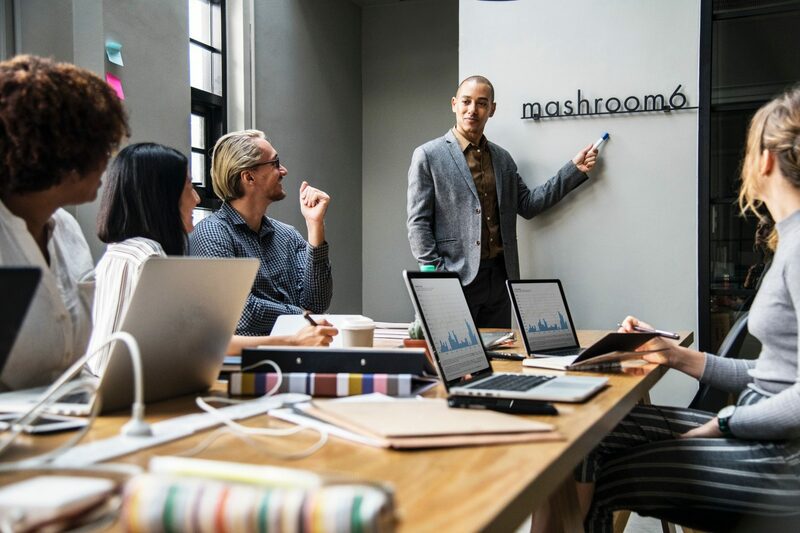 In recent years, businesses across multiple industries have started adopting Agile methodologies, and have been rethinking their workplace environments accordingly. 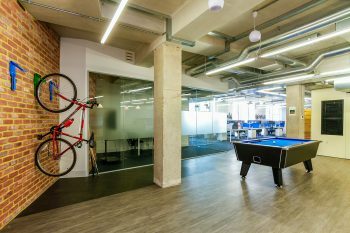 One standout workplace design movement is the disruptive industry trend of ‘Activity Based Workplaces’ (ABWs) – these are now widely accepted and employed all over the world. A few trailblazing companies have taken this concept even further with Neighbourhood Based Choice Environments (NCEs) – a movement towards team-based ‘homes’, rather than centralised, activity-based spaces. What could this trend mean for you and your business? 1. So what exactly is an NCE Solution? The core concept behind developing an NCE office space is the idea of creating neighbourhoods, or ‘homes’, for individual teams to work from. This means employees have the benefits of their own space, but aren’t hemmed in or restricted to individual floors, spaces or rooms. 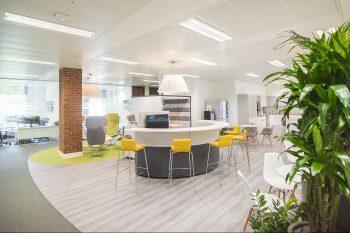 Having a central base where employees are able to catch up, share ideas and connect with each other gives them a unique sense of identity and camaraderie which is missing in many hot-desking or ABW environments. 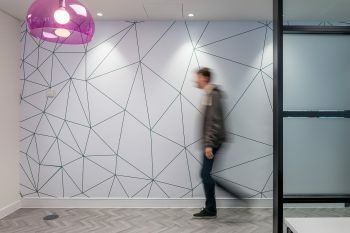 Many businesses separate these ‘homes’ with different flooring, which helps to create a certain differentiating visual aesthetic between areas that teams get to know and begin to associate with positive feelings. 2. Are they worth the hassle to implement? Many business strategy and psychology experts speak about the difference between ‘fixed mindsets’ and ‘growth mindsets’. There is absolutely an enormous differentiating factor between offices where everyone troops into their assigned desk, seeing exactly the same sights and walking the same routes, every single day. It quickly becomes dull, and the workforce can lose their energy. The sense of movement and energy that NCE solution brings have been proven to show links to boosted creativity, innovative ideas and positive associations with work. The key benefit is that unlike hot-desking or co-working, you don’t lose the sense of comfort or familiarity. You have a ‘home’ to return to – you’re just not stuck in the same part of it. So it may seem the answer is: yes, NCEs could be an out of the box solution to your office design needs. Vinyl flooring or carpeting is a relatively hassle-free way to divide your office into functional clusters, without blocking off or disrupting areas with a complete office redesign. Depending on the space you have available, you could use a feature wall as a focal point or meeting place too. – Open up your environment. – Think about where it makes sense to place your ‘homes’. – Which teams work well together? – Does it make sense for an engineering neighbourhood to be located next to marketing? – You can place handy communal hubs around commonly accessed areas, such as the printers. – Consider separating different hubs with distinct flooring. This is an easy way to give homes bespoke visual identities, leveraging our evolutionary bias towards familiarity and the importance of your work ‘family’. – Be prepared to consider new ideas, let your workplace adapt organically – and watch it thrive.